There is infinite energy in the world. You and I have the privilege to be conscious of it for as long as we may live. No matter if our lifespan is short or long, it’s still barely a scratch in time compared to the eons that have passed and have yet to come. 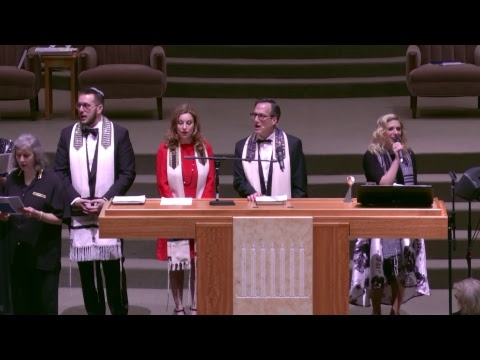 Psalm 90 acknowledges, “A thousand years in God’s sight are but as yesterday when it is past…” Judaism teaches us to learn from history and to live in the present, in the here-and-now. It means that we should see the blessings of our life as part of the continuum of time. We aren’t insignificant just because we’re here for a relatively short time; rather, we should see our purpose as part of an eternal covenant that binds us to ethical and sacred living for as long as we’re here. There is ample opportunity to achieve all that we can in our lifetime. Success and prosperity are not sins; not when they reflect ethics and mitzvot, and not when they build a strong community. Torah makes it patently clear that the bounty of the earth is for us to enjoy “without stint” (Deut. 8:9). Like our ancestors, we can enjoy “a good land, a land with streams and springs, and fountains issuing from plain and hill, and land of wheat and barley, of vines, figs, and pomegranates, and a land of olive trees and honey…where you will lack nothing” (Deut. 8:9). It sounds positive and guilt-less. Does it also sound too good to be true? In this case, it isn’t too good to be true. But, it does come with two responsibilities. First, we have a responsibility to obey ethical obligations owed to the source of these resources and to use them wisely. However you imagine their source – God, natural law, energy force – our orientation towards them can determine what we make of them and of our selves. If we have high regard for their place in nature as something from which we benefit but didn’t create, then we are likely to use them wisely and replenish them. Second, with gratitude for all that we have been given, we must also give thanks for what we have taken. In Torah we learn, “When you have eaten and satisfied your appetite, give thanks to the Lord your God for the good land which God has given you” (Deut. 8:10). Torah makes it clear that we can satisfy our appetites, even to the point of feeling full from a good meal. But, when the meal is completed, a word of thanks is required. In Judaism, our custom is to thank the Source of the foods we purchased and prepared for our benefit. Birkat Hamazon, or the blessing after the meal, acknowledges God as the Source of all that we enjoy. For those who struggle with prayer or faith in God, participation in a blessing can bring you closer to the relationship that is critical to one of humanity’s highest ethical duties, namely, to enjoy the benefits of the earth without stint, to replenish them for the future, and to do so with gratitude for goodness in nature that began with something larger and more infinite than each of us. When Torah teaches about the “good land” it imagines the Promised Land, the Land of Canaan. Today, the “good land” is the Land of Israel, but it’s also the whole earth. It’s what one generation called the “big blue marble” and this generation calls the “flat earth”. We have only one. Wherever we are Jewish, wherever we make our homes, let’s enjoy the bounty of these places that nourish us and our families, and when we have taken from what we’ve been given, let us also give thanks. Baruch Atah Adonai, ha-zahn et ha-kol, thank you God for providing us with sustenance.